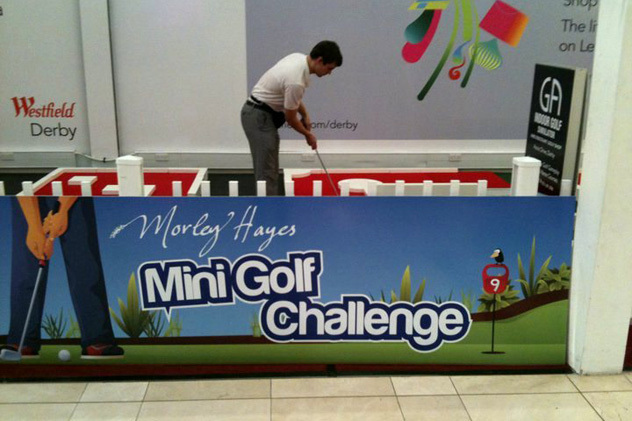 Come and play the exciting “Morley Hayes Mini-Golf Challenge” at Westfield Shopping Centre, Derby from now until Friday 24th December. The 9-hole indoor course with its striking red surface – supplied by us here at UrbanCrazy – is situated alongside the Food Court on Level 2. Just look out for the big Santa! Shoot the lowest score of the week to win “Boofle Dog” by Clinton Cards worth £50. And everyone that plays will receive 2-for-1 vouchers to play at Morley Hayes’ stunning “Manor” or “Tower” golf courses – see www.morleyhayes.com. 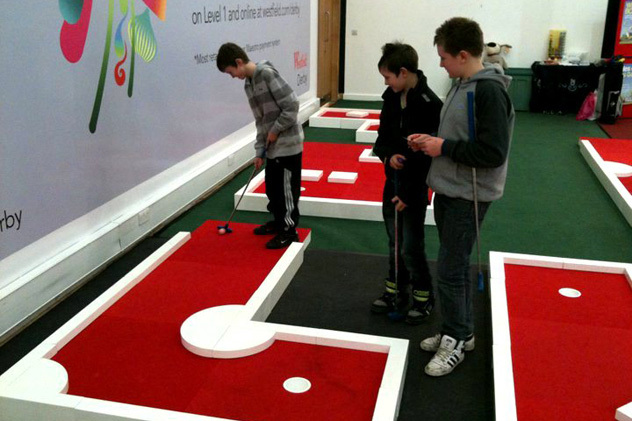 If you’re feeling lucky, try our “Hole In One Shootout” for the chance to win a golf simulator experience at www.indoor-golf.co.uk. Or just come along and play for fun – and a bit of respite from your Xmas shopping! 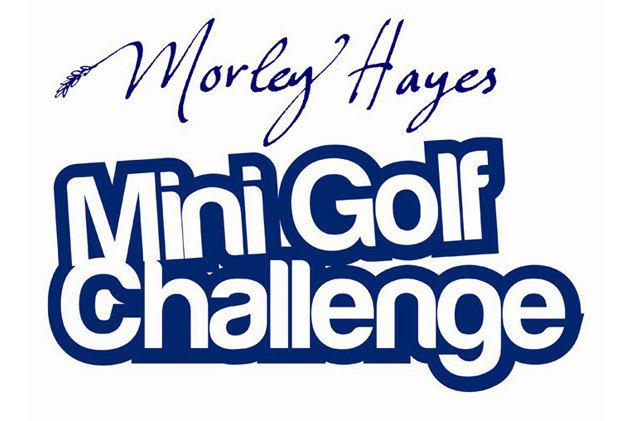 For regular updates about the Mini-Golf Challenge at Westfield, Derby search for “Morley Hayes Mini-Golf Challenge” on Facebook. We hope to see you soon!